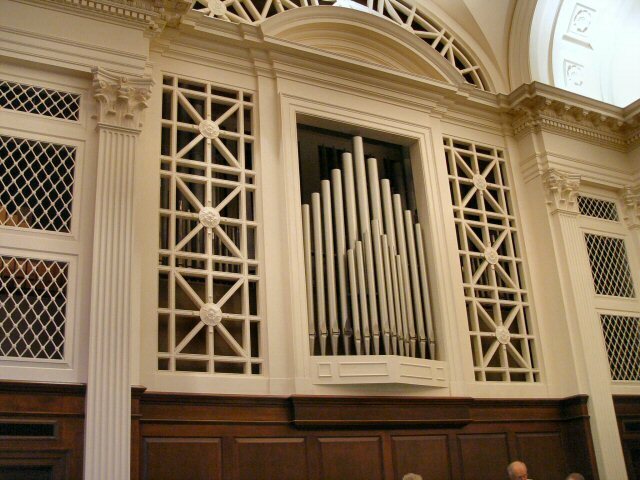 This concert is sponsored by the Richmond Chapter of the American Guild of Organists. The program will include the premiers of four exciting, newly-commissioned works by William Bradley Roberts, Mary Beth Bennett, Andrew Senn, and Julian Wachner (for organ, brass, choir, and congregation). Robert Gallagher has performed as organist, harpsichordist, conductor, and accompanist to critical acclaim throughout the U.S. and Europe. 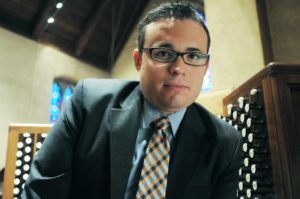 He has taught in the Organ and Liturgical Music Departments at the Catholic University of America and served for eight years as Organist of the Cathedral of Saint Matthew the Apostle in Washington, DC. During his years of study at the Manhattan School of Music and the Juilliard School, he held a four-year term as Assistant Organist at St. Paul’s Chapel of Columbia University. He has been Associate Director of Music at St. David’s Church in Wayne, PA, and has served as Minister of Music and Organist of River Road Church, Baptist since 2011. Upon graduation from Manhattan at age 20, Dr. Gallagher was honored with the Bronson Ragan Award for Excellence in Organ Performance. He holds diplomas and prizes from his period of study in France, where his teachers were Marie-Claire Alain (organ), Huguette Dreyfus (harpsichord), and Jacques Taddei (improvisation). 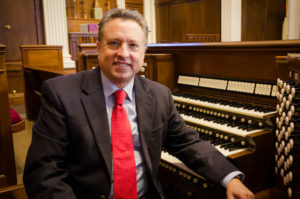 He also studied with Peter Marshall, Gerre Hancock, Frederick Swann, Doris Hamel Eicher, and Arnold Ostlund, Jr.
Dr. Gallagher has performed as organ soloist with the Washington Bach Consort and as harpsichordist with the Chamber Music Society of Lincoln Center. 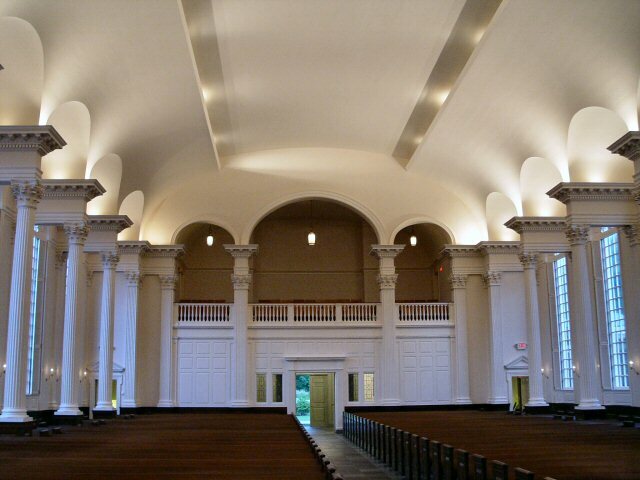 He has recorded two organ works by Curt Cacioppo for Capstone Records. 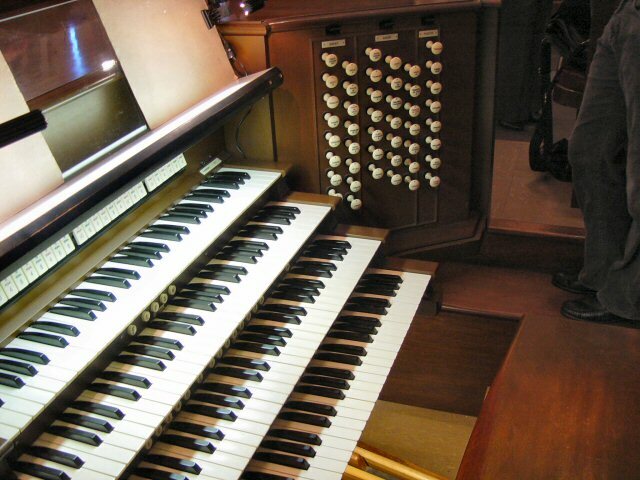 He was a founding member of the Liturgical Organists Consortium, a group of five organists committed to the renewal of esteem for the organ within the Roman Catholic church. The Consortium’s CD, The Sacred Legacy of Paris, won The Golden Ear Award from The Absolute Sound, America’s premiere audiophile magazine. Hailed as “a superb organist” by the Washington Examiner, John Bradford Bohl is a multi-faceted musician, working as a conductor, organist, singer, accompanist, and coach. Until recently, he served since 2007 as Assistant Director of Music and then as Interim Director of Music at St. Paul’s, K Street (Episcopal) in Washington DC, where he directed the semi-professional Parish Choir, the Choir of Boys & Girls, and the Youth Choir. He has accompanied the St. Paul’s Choirs at national conventions of the AGO, OHS, and AAM, and the choirs have been featured nationally on the radio programs Pipedreams and With Heart and Voice. 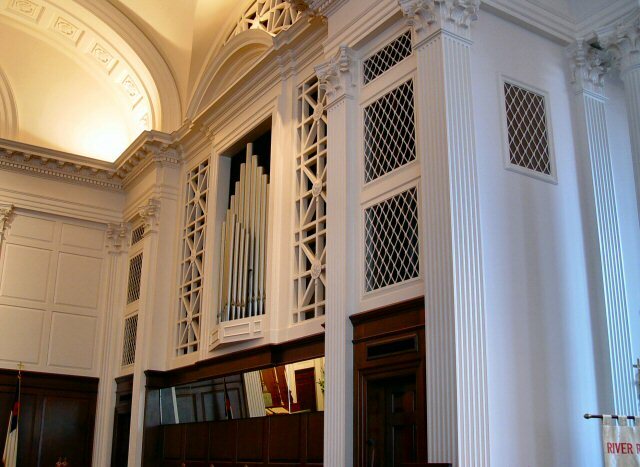 As an organist, Mr. Bohl has performed across the U.S., both as a soloist and accompanist. 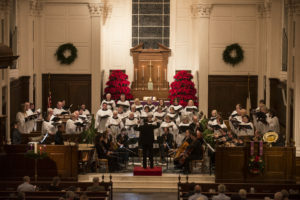 He can be heard as accompanist on the 2010 recording We Sing of God by the choirs of St. Paul’s, K Street, and as soloist and accompanist with The Washington Chorus and the Washington Symphonic Brass on the 2011 CD Christmas in Washington. A graduate of Indiana University, Mr. Bohl was an organ student of Dr. Marilyn Keiser and voice student of Dr. Paul Elliott. He previously served as the Associate Conductor of The Washington Chorus (2011-2013) and was Assistant Organist and Choirmaster at Old St. Paul’s Church (Episcopal) in Baltimore, MD (2005-2007). 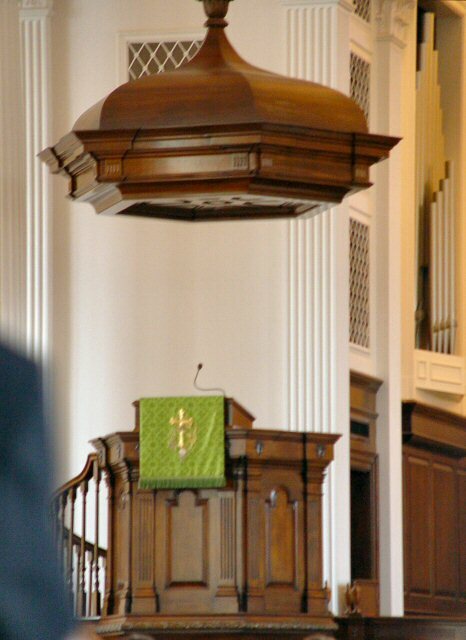 The Chancel Choir of River Road Church consists of 45 to 50 singers, college age or older, forming the backbone of the church’s music program. Most singers have musical backgrounds, and many gravitate to River Road Church to sing challenging choral repertoire on a weekly basis. The choir sings a concert with orchestra during the Advent/Christmas season and either a concert or an extensive Evensong in early June. 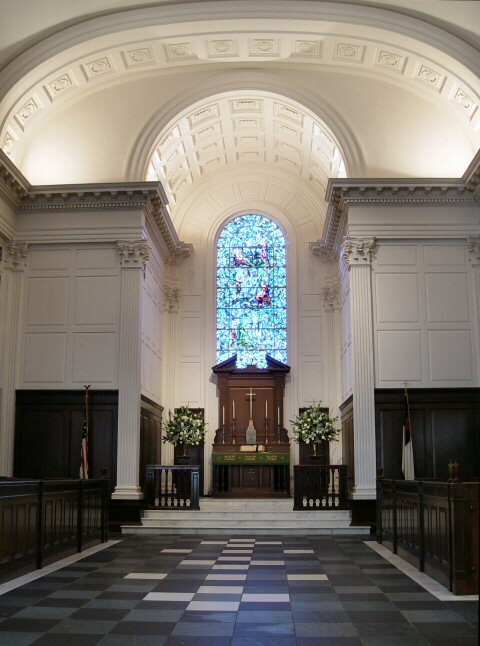 Each year, the All Saints Sunday communion service includes a sung Mass or Requiem with either orchestra or organ. Aside from the four composers whose commissioned works are being premiered tonight, other composers such as K. Lee Scott, Michael Sitton, and David Briggs have written works for the choir. The texts and melodies of the earliest Lutheran hymns have been the source of inspiration for countless composers for five centuries. Why, then, should four more composers—from this AGO region—not be inspired to treat texts and music stemming from this great source? Fortunately, they were. William Bradley Roberts is currently Professor of Church Music at Virginia Theological Seminary and Director of Chapel Music. He has taught on the music faculties of Indiana University Southeast, Southern Seminary, Mars Hills College, and Louisville Presbyterian Seminary. Dr. Roberts’s compositions have been published by Augsburg-Fortress, G.I.A., Hope, Paraclete, St. James Music Press, and Selah. He is the proud grandfather of two dedicated River Road Church choristers. 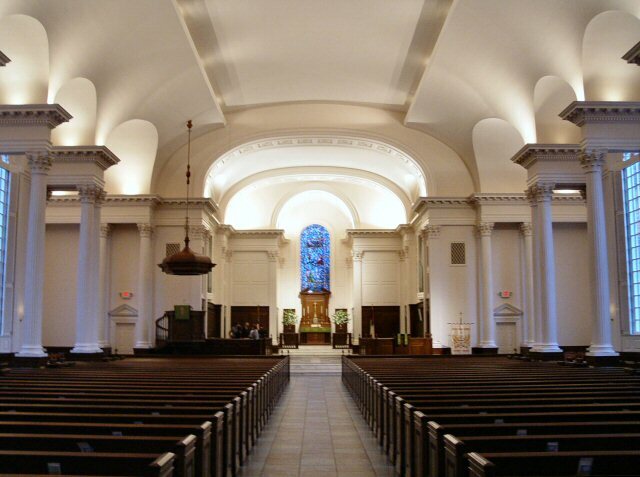 Andrew Senn was born in Chicago as the son of a Lutheran Pastor, and music played an important role in his childhood. He was the recipient of a full merit scholarship to the Curtis Institute of Music, where he studied with John Weaver. 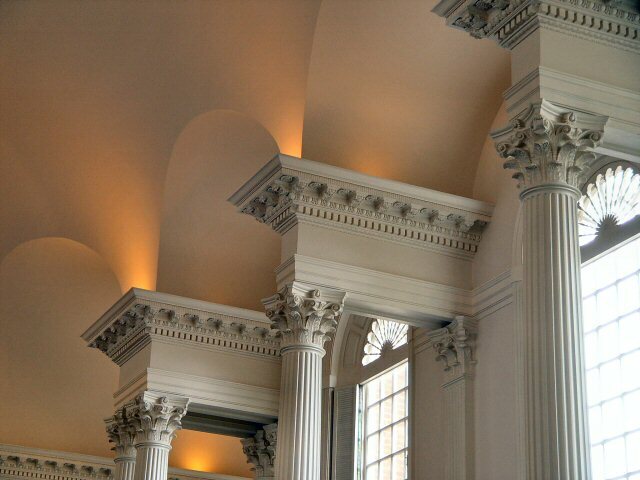 He was also an assistant organist at the Wanamaker Grand Court Organ, where he performed more than 2,000 recitals. Upon graduation, he accepted a combined position of Organ and Choral Scholar at Truro Cathedral in England, working under Andrew Nethsingha. 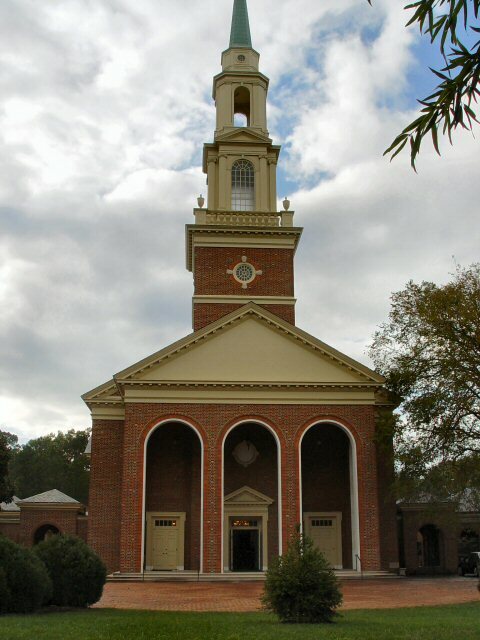 Mr. Senn is Director of Music at the First Presbyterian Church in Philadelphia. The organ is in chambers on both sides of the chancel, speaking into chancel. Great (unenclosed) and Choir are on the right; Swell, independent Pedal ranks, and Positiv are on the left.